You can choose either to show the post title in the post page or not to show the respective title. To enable this option, check the checkbox. Instead, if you want your readers to fully plunge into the text of the article, leave the checkbox unchecked. 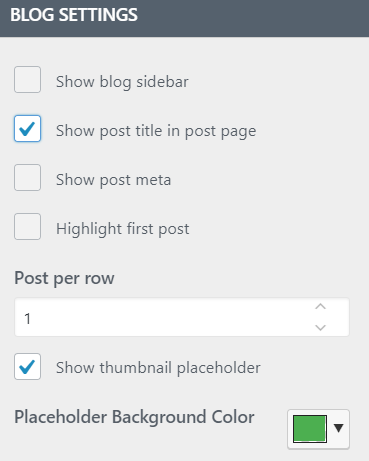 This option helps you make the first post stand out. It is useful especially when you have a bundle of blog posts and you want to showcase the most recent one.